State Sen. Kerry Donovan was carrying her skis through Vail Village during a rare December rainstorm when RealVail.com interviewed her to preview the 2017 Colorado legislative session and talk about the potential impacts of President-elect Donald Trump’s cabinet of climate-science deniers and the GOP push for state control over public lands in the West. A Democrat who grew up in Vail, Donovan’s signature achievement last session was a bill that set up Colorado Public Lands Day to recognize and maintain the current system of federal land management in Colorado, where about a third of the state is owned by the federal government. “Last session the Senate sent a strong message with that Public Lands Day bill that public lands remaining public is a priority that we all stand behind,” Donovan said on that strangely rainy December day. “So, this session if [Republicans] introduce bills that either directly address the possibility of the transfer of lands or a different paradigm for how we treat our public lands, then there are important questions to be answered about what changed from last year to this year,” Donovan added. What changed, of course, was the unexpected election of Republican Trump and continued GOP control of both chambers of Congress. Some western state legislatures are already taking action to assume control of some federally owned public lands after the House earlier this month passed a budget bill that will make transfer to state control easier. In Colorado, the topic has been hotly debated during previous sessions, with various legislative proposals floated by Republicans who would like to see more state control over mining, oil and gas drilling, logging and grazing on U.S. Forest Service and U.S. Bureau of Land Management lands in Colorado. Opponents fear rampant industrialization and decreased access for hunting, fishing and outdoor recreation, which are all billion-dollar revenue sources in the U.S.
Donovan says during this current session, which kicked off last week and runs through May, she’ll be on guard against similar efforts by Republicans in the state Senate, where Democrats are in the minority, although the party controls the state House and the governor’s office. 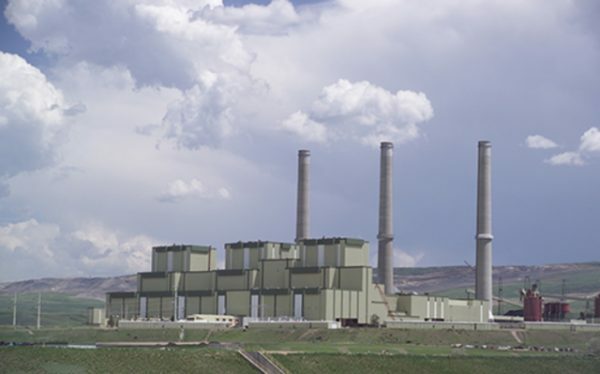 With conservation efforts under attack by Trump’s cabinet choices, and outgoing President Barack Obama’s efforts to fight climate change likely being rolled back, Donovan added that state lawmakers in Colorado may be the last line of defense. Scientists recently announced that 2016 set the global heat record for the third year in a row, with human activity the primary culprit, and China is now seizing on Trump’s election to become the world leader in clean, sustainable energy production. Conservation groups are reeling as Trump looks to pull out of the Paris climate accords and revive America’s coal industry. A lesser concern nationally but a big problem in the Colorado Rockies is what global climate change means for the multi-billion-dollar ski and outdoor recreation industries. A few weeks after RealVail’s conversation during a rare December rain storm, heavy, wet storms rolled through in January, bringing more rain and triggering highway-clogging avalanches. It was more like a super-moist April snowstorm in January. All the wet, heavy spring-like snow came after a crispy, dry November that seemed more like September and forced ski resorts to postpone opening dates. “Skiers know that things are changing,” Donovan said. “Lifelong skiers know that it isn’t a fad or just one off season. We know when snow used to come and when it comes now. We know what [Vail ski trail] Bear Tree used to look like in March and what it looks like now. March is the new April. One of those important topics will be keeping public lands public. Donovan, a former Vail Town Council member, addressed the town’s examination of adjacent Forest Service land for possible acquisition to build workforce housing. “That’s one of the classic problems that a town in a valley that needs more housing is going to face is the shortage of land on which to build new developments, but Vail and other communities that look at turning public lands into developed properties have to be real sensitive to establishing an expectation of that,” Donovan said. According to The Colorado Statesman, Donovan is seeing greater cooperation in her third legislative session.